While the two-minute trailer of Bohemian Rhapsody has made most of us nostalgic and miss Freddie Mercury, there’s no denying that Rami Malek has blown our minds. 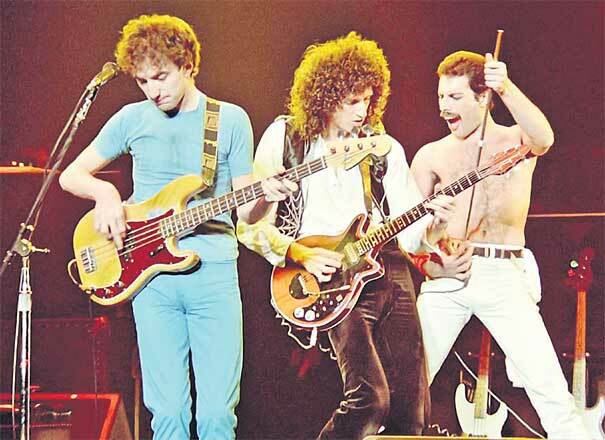 The film is a biopic of the British rock band Queen that has given us our all-time favourite songs like We will rock you, Under pressure and Another one bites the dust. Directed by Dexter Fletcher, who replaced Bryan Singer, the musical drama film will follow the band’s formation and their iconic performance at Live Aid in 1985. Queen’s frontman Freddie Mercury’s role will be played by Rami Malek, while Gwilym Lee is Brain May, Ben Hardy plays Roger Taylor, and Joseph Mazzello is John Deacon. The film also has Lucy Boynton, Aidan Gillen, Mike Myers and Tom Hollander. It’s one of the most-awaited films of 2018 and the first trailer, which was released on Tuesday afternoon, has left netizens pumped-up. With the little that we got to see, the film does look promising and there’s going to be a lot of insights from ‘behind the scenes’ that the fans might get to watch. The film is scheduled for release on October 24.